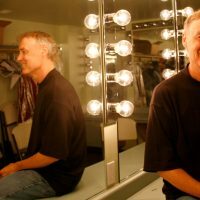 Bruce Hornsby’s work displays a creative iconoclasm that’s been a constant in the artist’s two-and-a-half decade recording career. His commercial stock soared early on, when “The Way It Is” – the title track of his 1986 debut album – became one of the most popular songs on American radio. Despite his early mainstream successes, Hornsby has pursued a more personal, idiosyncratic musical path, focusing on projects that sparked his creative interest, including collaborations with the Grateful Dead, Spike Lee, Ricky Skaggs, Don Henley, Ornette Coleman, Bob Dylan, Bela Fleck, Justin Vernon, Bonnie Raitt, Pat Metheny, and Robbie Robertson. Hornsby’s performance will offer a glimpse of a restless spirit who continues to push forward into exciting new musical terrain.